In this exercise, sixth-grade students learned how to use GPS. An agreement between Abu Dhabi and Esri has enabled the Abu Dhabi Education Council (ADEC) to expand its use of GIS from managing infrastructure to supporting e-learning modules in the curriculum. Abu Dhabi is the capital of the United Arab Emirates, a federation founded in 1971 from seven ancient Arabian Peninsula sheikhdoms. Using the wealth derived from its extensive hydrocarbon deposits, Abu Dhabi has developed a modern, forward-thinking state that embraces its past while preparing for the future. One of its long-term initiatives is the development of a comprehensive information infrastructure to serve the entire emirate, much as a utility company provides electricity, gas, or water. The Abu Dhabi Systems & Information Centre (ADSIC) was created in 2005 by Abu Dhabi’s Executive Council. The role of the ADSIC is to develop and support various government initiatives in the establishment of a modern, efficient, citizen-centric e-government platform. With the expanding use of GIS throughout the country, ADSIC launched the Abu Dhabi Spatial Data Infrastructure (AD-SDI) initiative in 2007 with a mission to facilitate the sharing of geospatial data among government agencies and other stakeholders. The AD-SDI initiative is made up of 56 government and private agencies including nearly all industries and agencies in the emirate. AD-SDI mandates that all members share their spatial data with each other, excluding data related to Abu Dhabi’s security. 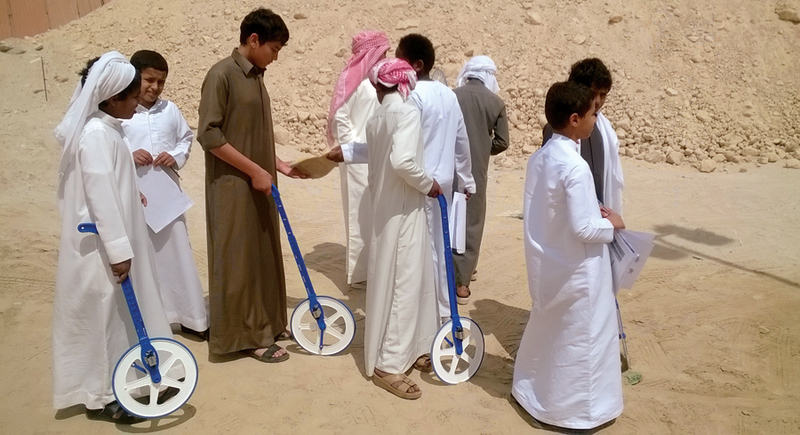 Using a measuring wheel, students measured the perimeter of the school as part of another GIS-based project. ADEC’s School Finder allows residents to explore schools throughout Abu Dhabi, using various criteria such as location, type, grade level, and gender. The regular influx of new families to the emirate who are looking for schools for their children makes this an important and popular application that helps them get settled more easily. Realizing the advantages of geoenabling its entire student database, ADEC integrated ArcGIS with its enterprise student information system. 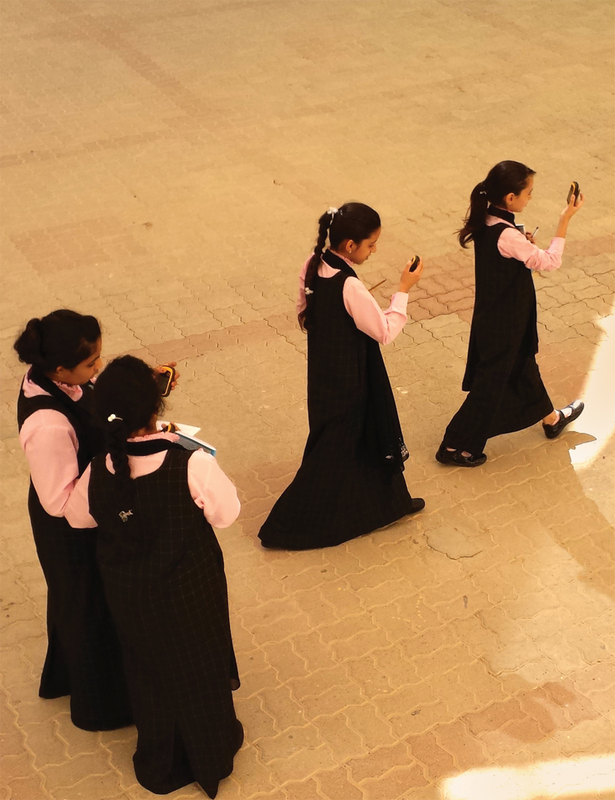 This system contains detailed data about Abu Dhabi’s approximately 350,000 students, 18,000 teachers, and 450 schools. Administrators now can easily monitor student performance at specific schools, compare general progress among neighboring schools, or track the qualifications and workload of an individual teacher. 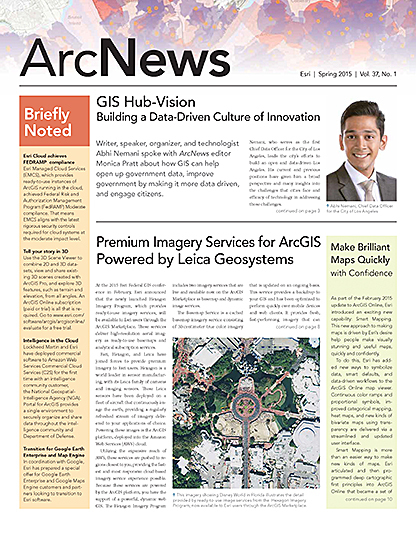 In 2012, Abu Dhabi signed a nationwide memorandum of understanding (MOU) with Esri to further expand the country’s use of GIS. The MOU provides access to all Esri GIS software products to every government agency and school in the emirate. Students collected data about the mangrove trees and the land surrounding them. Recently introduced in Abu Dhabi public schools, the New School Model was developed by local educators and consultants over several years. This student-centered learning approach engages students using a technology-rich environment that is responsive to the abilities and needs of individual students. The goal is to foster students’ critical thinking, communication, and problem-solving capabilities while preparing them with skills for future education and employment. Because the New School Model is being gradually phased into the entire school curriculum, ArcGIS Online was introduced in a pilot project for sixth-grade students. These students, usually between 11 and 12 years old, have some experience with digital technology, so applying GIS in classroom assignments can help increase their understanding of other subjects during their secondary school education. Esri education team members and staff from GISetc, a private GIS educational consultancy, worked with Abu Dhabi educators and ADEC curriculum developers to integrate GIS exercises into the sixth-grade curriculum of the New School Model. Five exercises were developed that included mathematical concepts such as map scale, linear measurements, and perimeter calculation, as well as science and geography lessons. 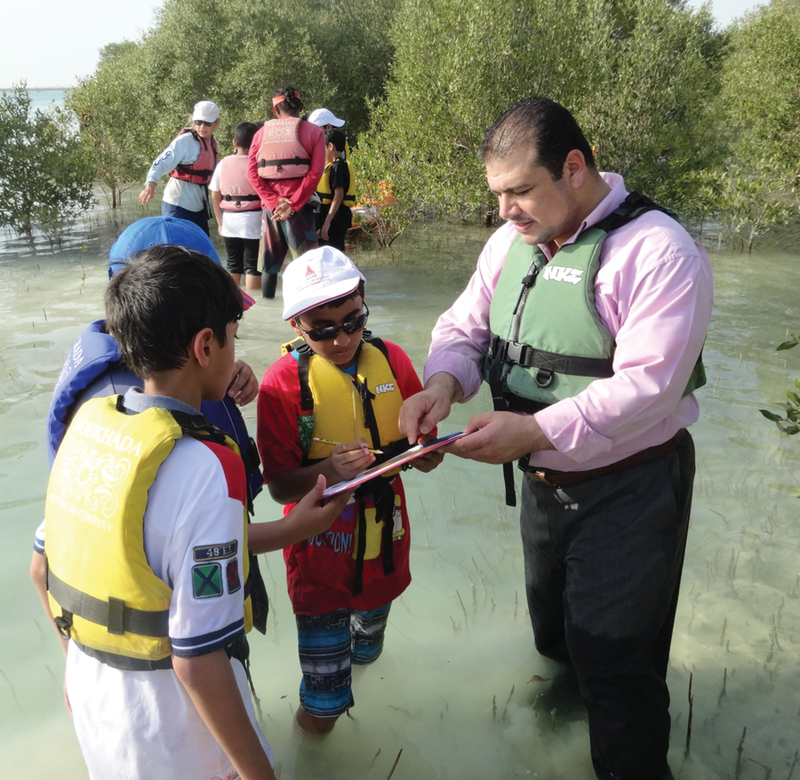 As part of a science lesson, students kayaked to Mangrove Island to collect data about the trees. Students were very interested in collecting data about local mangrove trees and plotting that data on maps for a science lesson. 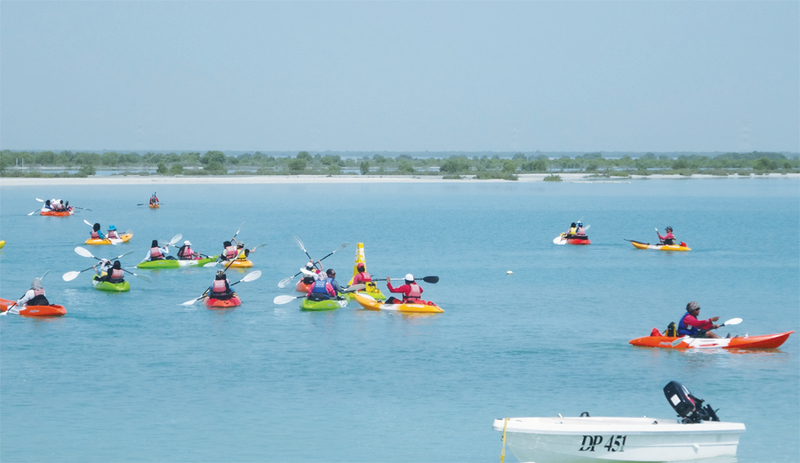 Mangrove trees live in salt water along the Abu Dhabi coastline. They provide important animal habitat and erosion control. Students used Collector for ArcGIS on their smartphones to record their data for later use with ArcGIS Online. Their familiarity with smartphones helped lower barriers to learning this new technology. After an academic review, the pilot project was deemed a success, and ADEC plans to implement GIS lessons in all sixth-grade classrooms next year. It is currently developing new exercises for the seventh-grade pilot project and plans to incrementally add GIS-related exercises for all students from the sixth through twelfth grade.